Keep kids safe! Car Seat Installation Checks. When installed and used correctly, child safety seats and safety belts can prevent injuries and save lives. Healthy Families, a program of Child & Family Resources, has 4 technicians trained in proper car seat installation. We are able to install car seats for anyone in the community and we are able to do car seat checks to make sure the car seat presently being used isn’t expired, recalled, correct fit, or correctly installed. If you or anyone needs a car seat or check please fill out the form above and send it back to Serina Cota at scota@cfraz.org. She will then call you to set up an appointment for installation or check. Please note the car seats are for children newborns to 60 lbs. Please fill out the form completely so we can let you know if your child will be the right fit for the car seat. Over the next year, with funds and support from the Governor’s Office of Highway Safety grant, Healthy Families’ 13 National Child Passenger Safety Program certified technicians will provide and properly install 200 free car seats to families in the Healthy Families program. Using the American Academy of Pediatrics guidelines and "SafeKids" training program, Healthy Families will also educate 800 families in the community on the importance of child restraint systems (car or booster seat) for all children under eight years old and 4'9" tall. 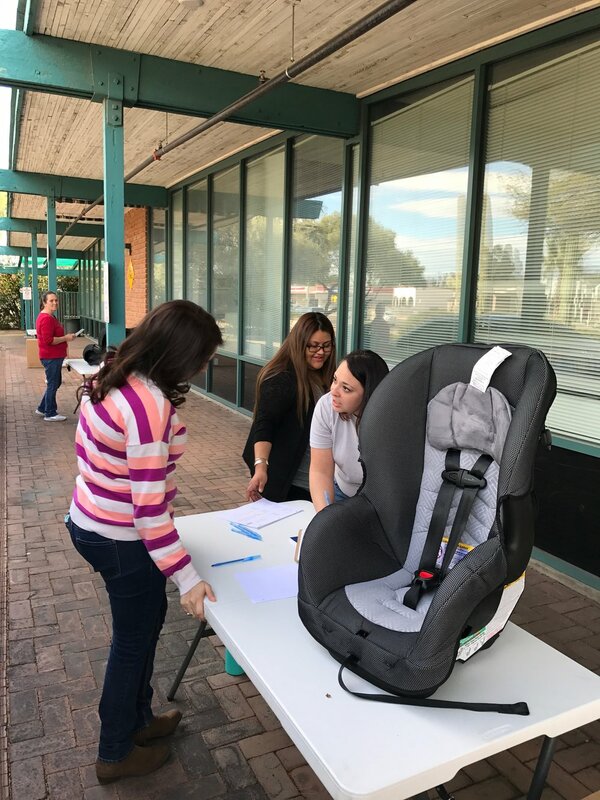 The Car Seat Safety Program will serve Kingman, Bullhead City, Yuma, Apache Junction, Casa Grande, Tucson, Nogales, Sierra Vista, and Safford.